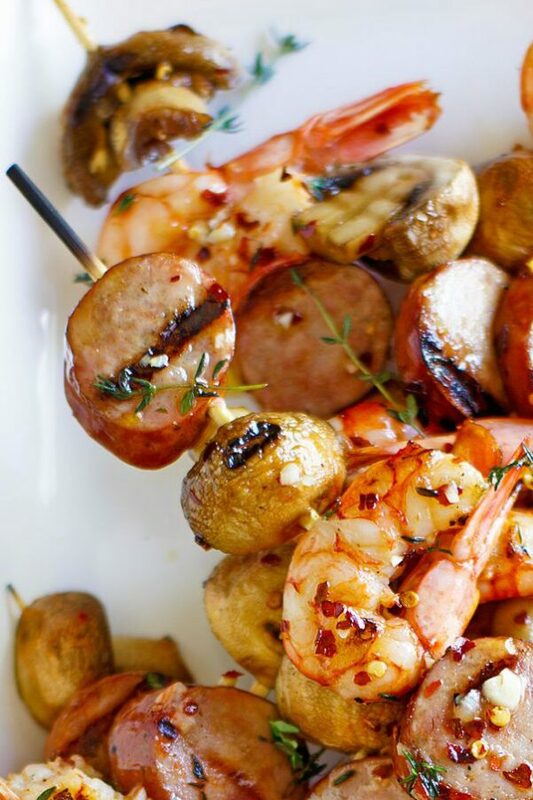 This Mixed Grill of Shrimp, Sausage and Mushrooms is a really easy recipe to make on the grill. As far as I’m concerned, it’s grilling season all year long (I live in Arizona). So we enjoy this mixed grill for dinner quite often. It’s so easy to assemble. 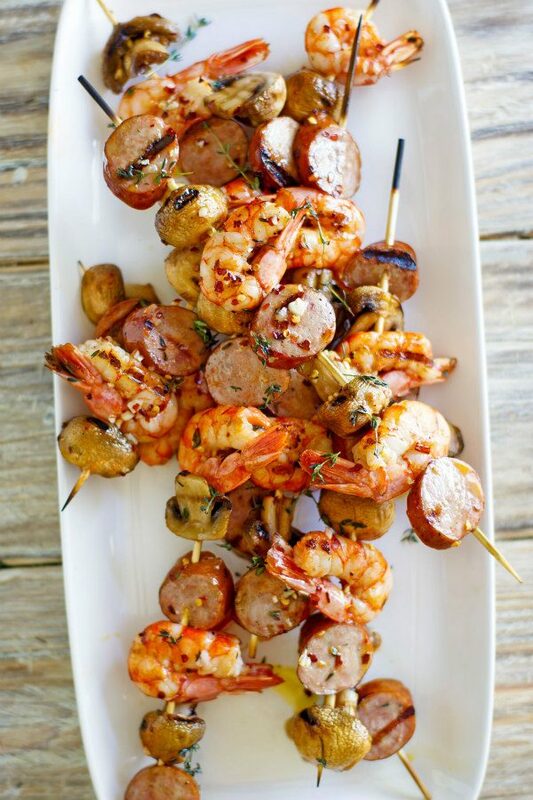 The shrimp is marinated briefly before stringing onto skewers with the mushrooms and sausage. Reserved marinade is brushed onto the skewers as the kebabs cook on the grill. 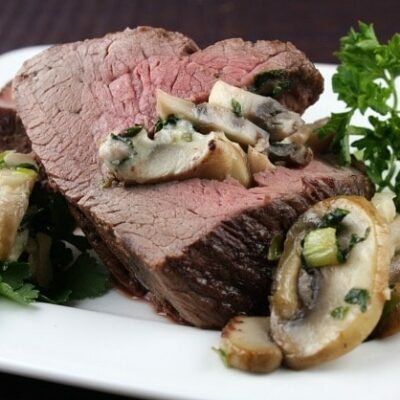 If you’re looking for a high protein, low carb meal, this is one to try! 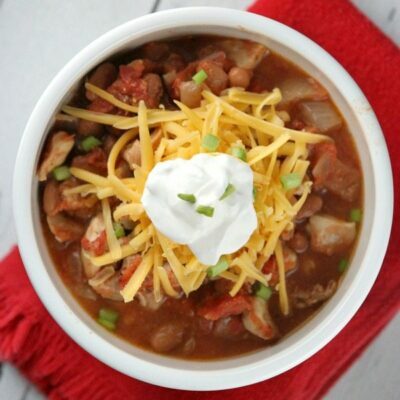 I really love the simplicity of this recipe. The marinade is nothing fancy, but it works! The mixed grill is an excellent idea. You get a sampling of two different proteins- the shrimp and the sausage, and the mushrooms are a big bonus. Use your favorite brand of smoked sausages for this recipe. 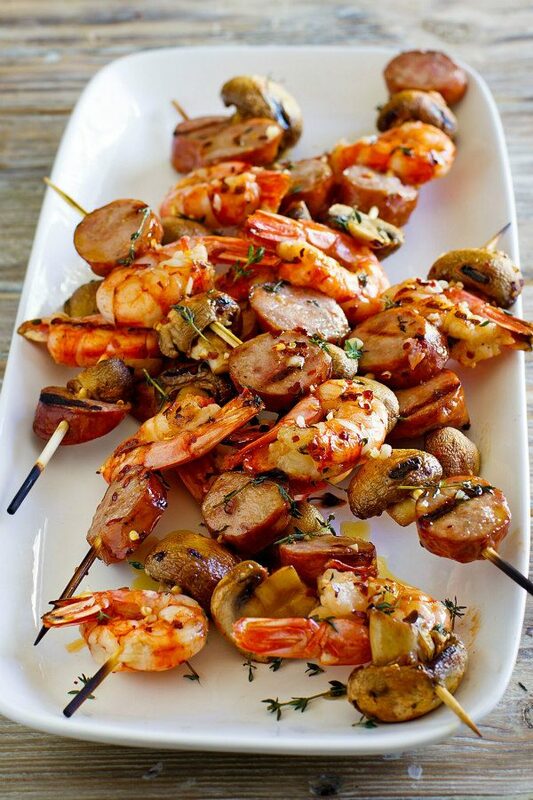 These skewers are packed full of simply marinated shrimp, sausage and mushrooms. 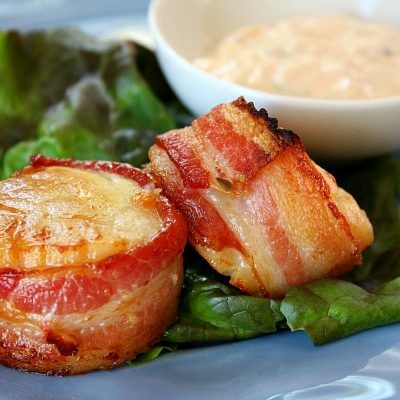 Throw them on the grill, and you have a great dinner! In a food processor, blend the oil, thyme, garlic and pepper for 1 minute. Pour the mixture into a large bowl. Add the shrimp and marinate in the refrigerator for 1 hour. Remove the shrimp from the marinade; reserve the marinade. Thread 1 mushroom horizontally on 1 skewer. 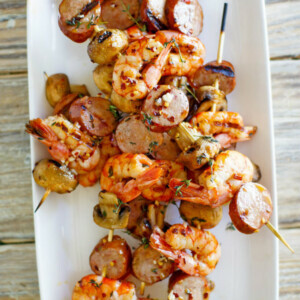 Hold 1 sausage piece in curve of 1 shrimp; thread together on skewer, sliding next to mushroom. 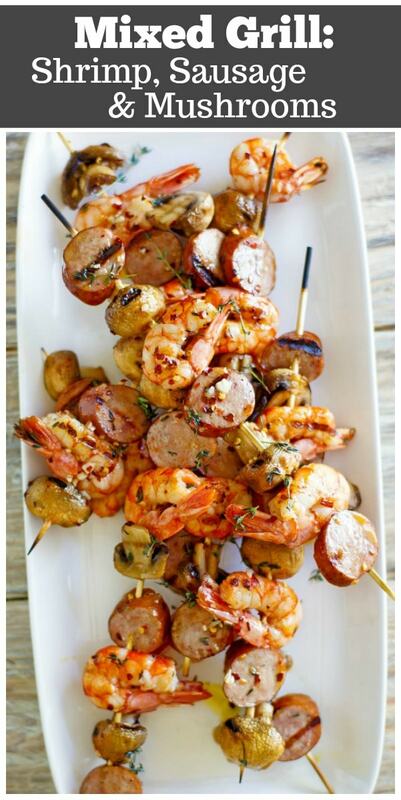 Repeat, alternating a total of 4 mushrooms, 4 shrimp and 4 sausage pieces on each skewer. Prepare your grill to medium- high heat. Bring the reserved marinade to boil in heavy small saucepan. Arrange skewers on grill and brush with the marinade. Grill until shrimp are cooked through, turning occasionally and basting with marinade, about 8 minutes. Transfer to plates and serve. *The skewers may be threaded a day early. Cover and and chill reserved marinade and skewers separately. *If preparing as egg, gluten or dairy free, check the sausages and make sure they are free of those ingredients.